If you are a computer user, you have undoubtedly heard about hard drive malware. There are a lot of misconceptions about hard drive malware. Here is a brief about hard drive malware and how it infects a computer. What is a Hard Drive Malware? Hard drive malware is a type of computer virus (malicious code) that can self-replicate under the right conditions. It can infect a computer without the permission or knowledge of the user. It has two major characteristics, the ability to replicate itself and the ability to attach itself to another computer file. Hard drive malware can corrupt or damage files stored on hard drive. Some hard drive malware comes with spyware that steals private information like credit card details and sends them back to the hacker. Hard drive malware programs are designed to infect files on a storage disk (hard drives) and spread autonomously from one computer to another. 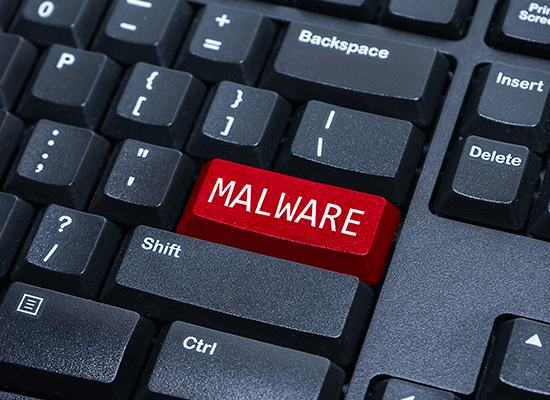 A hard drive malware infection is often triggered by the victim's action such as opening an infected email attachment or clicking malicious links. Hard drive malware that infects software programs such as games, word processors (Word), spreadsheets (Excel), etc., are known as program viruses (executable ones). Hard drive malware programs that infect boot sectors, Master Boot Records are known as boot sector malware. Some hard drive malware belongs to both the groups. Regardless of the types, all hard drive malware have three common functions: Replicate, Infect, and Deliver payload (usually cause damage to the victim's computer). How Does Hard Drive Malware Work? Hard drive malware works similar to a computer virus. It attaches itself to other programs in order to exist. This distinguishes a hard drive malware from other forms of malware. Hard drive malware is usually present as a parasite on another program. Piggybacking on another program allows the malware to trick users to download and execute it. When a malware-infected program is executed, the hard drive malware also gets executed. Once executed, it performs two primary functions simultaneously: Replicate and Infect. The hard drive malware takes complete control of the host system and begins searching for other programs on the same or other disks that are currently uninfected. When it finds one, it then copies itself into the uninfected program. After replicating itself into many copies and infecting other programs, the host program returns to its original form. When the host program gets terminated by the user, the malware too will stop replicating. Since all these activities occur in the background, the user will be completely unaware of the hard drive malware. Some hard drive malware will remain active in the system memory even after the user terminated the host program. This type of malware will stay in system memory until the computer is turned OFF. The next time the user boots his computer system, he/she might unknowingly execute one of the infected applications on the computer. When the hard drive malware remains active in the system memory, it may deliver the payload. The payload can be anything from deleting files or slowing down the computer. It could modify, damage or delete data files and programs. How Do You Know If Your PC Has Hard Drive Malware? If you practice good browsing habits and follow the advice mentioned-above, you should be able to surf the internet relatively trouble-free and protect your computer from hard drive malware and other types of malware. In an organization, a completely different strategy is required to defend against malware. Every endpoint must be protected to safeguard endpoints from malware. To protect all of the endpoints, you need an advanced endpoint protection solution. Comodo Advanced Endpoint Protection (AEP) is such a solution that can take care of all the endpoints. With a built-in containment engine and 'Default Deny' platform, Comodo AEP provides complete protection against any malware threat including zero-day malware.